The ground screw foundation is used to secure almost anything into the ground – it can even be used under water! It is suitable for natural ground as well as dense and tarred surfaces. The krinner ground screw provides a durable, robust and sustainable ground engineering foundation solution. There are numerous applications for the krinner ground screws: from fencing, flag poles, traffic signs, solar farms, advertising boards to buildings, including temporary buildings for events and exhibitions, to permanent buildings such as eco homes and hospitals. In addition, ground screw can be used in other applications where a sustainable and robust ground engineering foundation is required. The krinner ground screw is suitable for a range of soil and ground types including cement, tarmac, asphalt, clay, sand, rock and soil beneath water. For more information about using ground screw in practice, visit our case studies area. 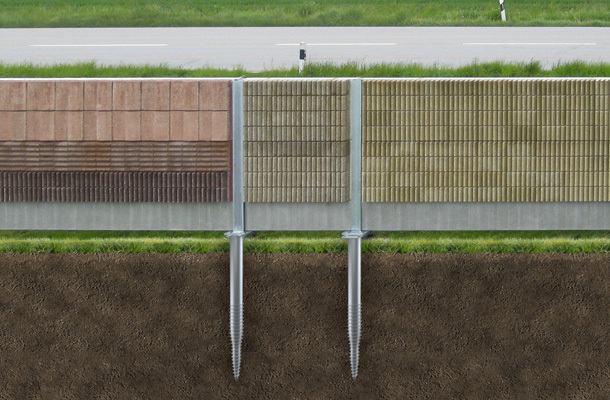 This short video illustrates how ground screw works and explains some of the benefits of the ground screw foundation.